This was a book I didn’t know I needed. I have always been into geek culture and I have been getting more and more into comic books over the past couple years, so a mystery novel set at the biggest convention in the world with a plot revolving around the comic industry had my name written all over it. 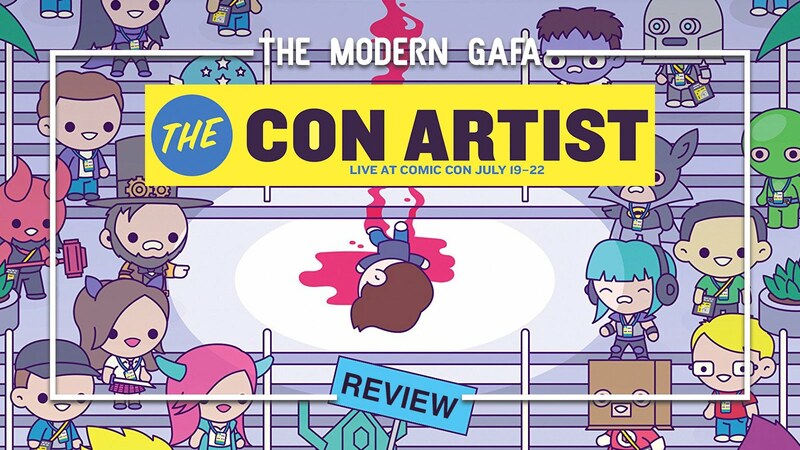 Hit the jump to check out my review of The Con Artist by Fred Van Lente. Disclaimer: I received a copy of The Con Artist courtesy of Quirk Books. 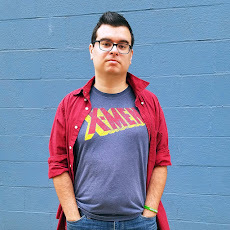 If you’ve known me for a while, whether we’re close friends or you just read my blog, you might assume my favorite film is Digimon: The Movie, one of Power Rangers movies, maybe a Star Wars or a Marvel movie. Almost everyone is surprised to find out that my favorite movie is actually The Big Lebowski. I love a good story where a normal everyman gets thrust into crime and espionage. That’s what this book is. Our main character is a totally average (kinda famous) comic book artist who becomes a person of interest in a murder. His mission is to hunt down his own alibi and solve the case to clear his name. This is what I sorta call “Adult YA” where the characters have all already come of age but we still get a “coming of age” type story out of them. A quarter-life crisis if you will. Our protagonist is a comic book artist who lives entirely at comic book conventions. He books shows and foregoes the appearance fee in place of extended hotel stays between the next convention. He’s been doing this for three years, since he lost his steady comics gig and his marriage fell apart, and has had a comfortable life in the process. However, it’s obvious from the getgo that he’s still running from his past and avoiding dealing with adult responsibilities. One thing I appreciated was how well Van Lente depicted the convention scene and the comic book industry. I’m not a member of the comic book industry beyond doing advance reviews on this blog, but I still get the vibe that this is pretty accurate. It’s like how most people don’t know what a TV writers room is like, but we can all tell that Showtime’s Episodes is on point. I can definitely say that Van Lente, who writes comics when he’s not writing mystery novels, perfectly captured the essence of a fan convention. My favorite bit is where he lines out the different types of congoers. That, I can confirm, is very accurate. Another favorite of mine is how good the author is at creating fake pop culture. The main story centers around the fictional Atlas Entertainment and their flagship character, Mister Mystery. I was really convinced that Atlas was a media empire on par with Marvel and that Mister Mystery is a character regarded on the same level as Batman or Spider-Man. Van Lente also makes up a bunch of other fake movies and TV shows - which he doesn’t have to do since he uses real ones too - and they’re all brilliant. My favorite has to be Cell Block Z, a premium cable type show about a zombie apocalypse inside of a prison. There is also some alternate timeline stuff like an apparent seven film sequel series to Lord of the Rings - I laughed about that one for a good while. The Con Artist is a hilarious whodunit for comic book fans. It’s a peek behind the scenes of a massive industry and a reflection of our own geek culture - a pop-culture culture if you will. I’ve seen a lot of books lately that are about conventions and or take place at cons and honestly this is the first time I’ve actually felt like the writer really captured what a con is. If you like conventions, especially if you like comics, you have to check this book out. Click here to get a copy of The Con Artist for yourself. You should totally pick it up! Ok, this book sounds amazing! I love how the author created fictional but relatable! I'm not sure if it's quite my style, but it probably is right up my fiance's alley so I'm going to keep this in mind for Christmas. Thanks for sharing!